Provides coverage from the date the system is commissioned for a minimum of (1) five years for workmanship, including parts and labor; and (2) one year for incentive payments based on loss of energy production. This warranty covers all components of the solar photovoltaic system purchased from us. This warranty does not cover workmanship or damages that result from a manufacturing defect. We provide Forever Free Clean PV Power at an affordable price. We provide solar PV for the residential, commercial, non-profit and government sectors. Our services include: Site Surveys, Quoting, Concept Design, Procurement, Project Management, Commissioning, Training, and Customer Service. ​All our systems are professionally installed by MN Licensed Electrical Contractors. Our goal is to make renewable energy available and affordable to everyone while providing outstanding professional service, superior attention to detail, solid integrity, proactive safety, quality products, and competitive value. Commercial 39.75 kW Array on a flat roof. I am 100 % satisfied with my Solar Array purchased from Winona Renewable Energy, LLC. From start to finish, Tim Gulden explained everything, they took care of all the extensive paper work, set up the electrician to install the system. They came in $6000.00 cheaper for an even larger system than what 2 other company's offered. I highly recommend Winona Renewable Energy. Mike McRae. The initial call to Winona Renewable Energy filled us with confidence. We were dealing with a very competent group. We knew our questions would be answered honestly and that follow-up inevitable. 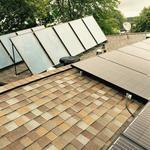 We had contacted other companies and were somewhat "knowledgeable" about what was available in home solar systems. 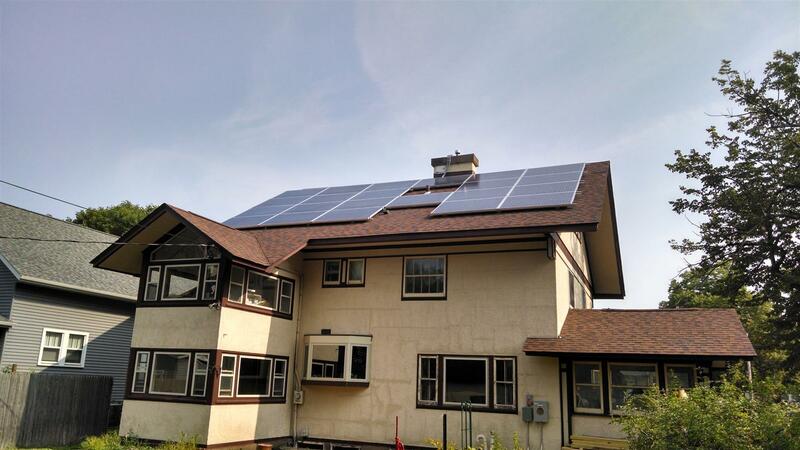 We were quickly convinced that Winona Renewable and 10K Solar were superior and that the product would be installed with the kind of care the investment required. The installation and follow-up have been excellent. Today, in the daylight, especially when the sun shines, the kilowatts are being provided and we are being part of the solution. 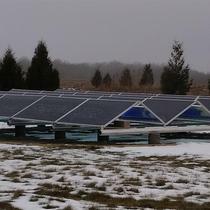 "Review of Winona Renewable Energy, LLC, for our 8.06 kW PV Array"
Tim did an excellent job designing our array to meet our needs, overseeing its quality instalation by Spring Grove Electric, and answering all of our questions thereafter. He is also continuing to work with us to increase our array's capacity due to our new needs based upon a separate solar thermal array we installed last fall. I have already recommended this company to others who are interested in a solar voltaic array. Up until we installed our solar thermal array, we never paid for electricity. Tim and Matt were great to work with, and did all of the leg work; permits, zoning, etc. The work was done without a hitch. We have never had a problem with our solar since it was installed. I really like the fact that Tim is very passionate about solar. I would recommend them to anyone thinking of installing solar. 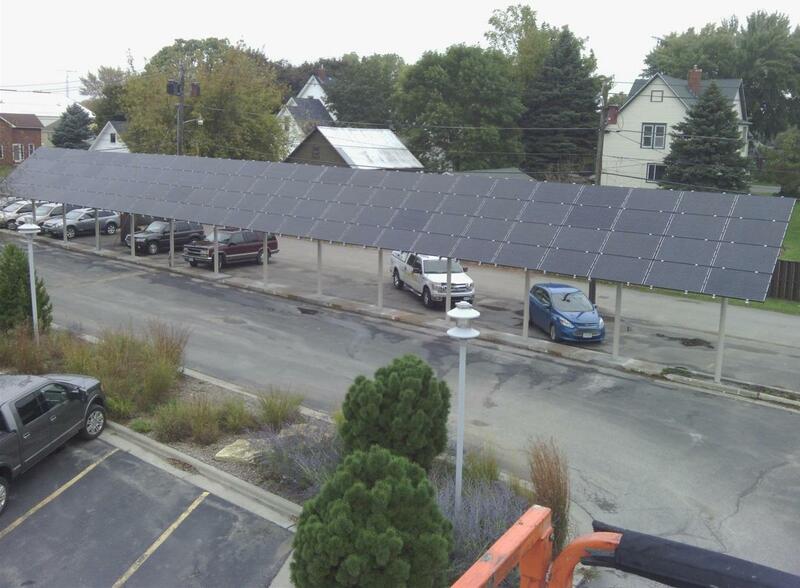 We've had our ground-mounted solar array system for over a year--installed Oct 2014. Tim and his team are great throughout the whole process, from initial inquiry and beyond installation. We were kept informed of any delays, which were beyond their control (supply and demand). Whenever we had a question, their response was timely and satisfactory. Tim is very helpful and knowledgeable and his customer service goes above and beyond our expectations. 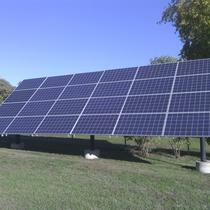 I highly recommend Winona Renewable Energy and if we add on to our existing array, will definitely go with them again. 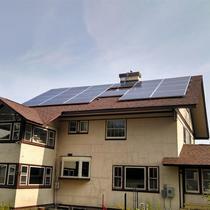 "Winona Renewable Energy, LLC makes installing solar in Minnesota a no-brainer." I didn't have to do anything except provide a little data about my electricity usage, approve the final array size, and sign the contract with Xcell. Tim did all of the site analysis and engineering. He also ensured that we qualified for all of the incentive programs in effect at the time of our installation. Now, after nearly three years of operation, we are reaping the rewards. Our system will easily be paid off in savings by the 5-year estimate. In the Winona, Minnesota area, you can do no better than Winona Renewable Energy, LLC. "Great expertise, communication; installation and system exceed expectations." 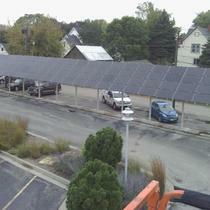 Winona Energy provided excellent guidance, before and after installation, of our 10kw system. Mr. Gulden and staff provided essentially all of the paperwork, filings and permits for the system, grid-connect and monitoring software.. in addition to very skilled workmanship. We asked lot of technical questions and every one was answered in clear and understandable terms. The people at Winona Renewable Energy are extremely knowledgeable about solar energy. They have done a lot of research on the best PV systems available on the market in terms of efficiency, lifetime, etc. and use it to help you get the best system for your money. They are also very knowledgeable about the rebates available. I do not feel that they pressure you into a certain type of system.  I feel there information is non-biased and they want to help you help the environment if it makes sense for your site. 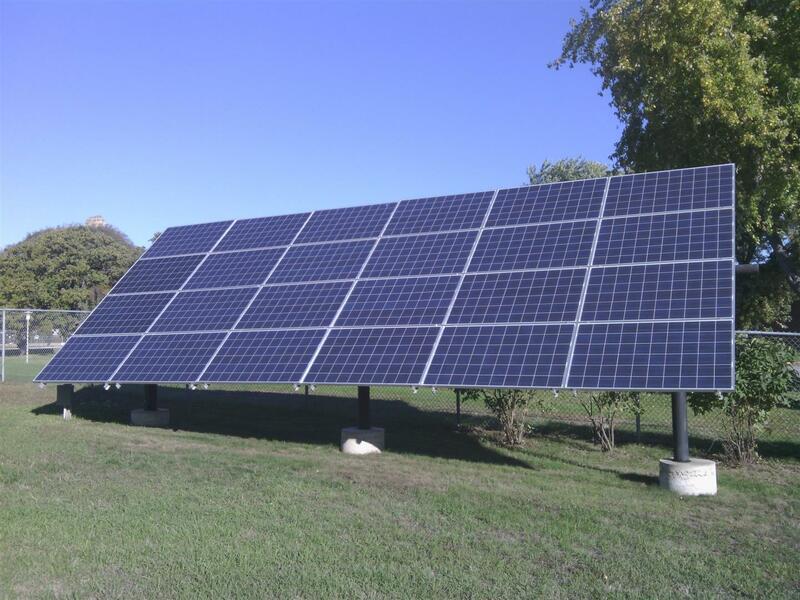 The process of working with Winona Renewable Energy was very professional from start to finish. The team at Winona Renewable Energy is very knowledgable about their products and the process of installing Solar PV panels. Winona Renewable Energy was able to answer all our our questions or quickly provide us with the resources to find the information we needed to make a sound decision. I would not hesitate to recommend them to anyone interested in Renewable Energy systems. "Easy Process with all the bases covered"
We had a good experience with Winona Renewable Energy. It was nice to have the 'Turn Key' service, although it did add some cost, I am sure navigating all of the forms, files, companies, people, schedules would have cost us much more than the difference. We got regular updates, felt like we were an important customer along the way. The hardest part was waiting :). The process is in depth and complicated. Winona Renewable Energy made the process smooth, and enjoyable. "TEC Community Solar Project - Renewable Rays"
Winona Renewable Energy, LLC was our solar dealer and PV contractor. They provided a thorough site assessment, explained the different equipment and installation options and provided a realistic energy production projection. The fact that they are NABCEP Certified gave us a comfort level that the installation would be correct and meet the electrical safety code. The project proceeded on schedule and came in under budget. All in all we are pleased with the workmanship, knowledge and integrity of the people at Winona Renewable Energy, LLC.